Will the big cat and little rodent reign? Time will tell. On January 18th, the American Library Association will announce the winners 2010 ALA Youth Media Awards, Caldecott Medal included. There's one book that has book bloggers and libraries buzzing: The Lion & the Mouse by Jerry Pinkney. Now Mr. Pinkney isn't a stranger to the Caldecott list. He has five Caldecott Honor books to his credit, but, up to this point, no Caldecott Medal. Obviously Pinkney is a very talented illustrator. Unfortunately, we haven't read any of the above titles, but you can bet they are on our TBR list now. However, we did check out a copy of The Lion & the Mouse from our library. Since nearly every kidlit blog I've visited lately has this book at the top of their Caldecott predictions, I thought it was time the kids and I took a look at it. Seven words. That's right, the book contains minimal text, nearly all animal sounds. Pinkney's highly detailed and beautiful watercolor illustrations tell the classic Aesop's fable in a way far superior than words ever could. He leaves the storytelling to the reader's imagination. 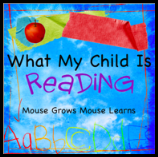 When I first looked at The Lion & the Mouse with my kids, we paged through almost silently, taking in the scenery, the characters, the illustrations. My daughter already knew the basic storyline, thanks to Elmo's World. (Kids really can learn from watching Sesame Street.) But my toddler son didn't have any prior background knowledge. His response surprised me. As we reached the page where the lion ends up tangled in the net, he tried to close the book. His concern for the lion was evident, poor little guy. Yes, Pinkney's illustrations are that powerful. After a little coaxing, we reopened the book and continued on to the happy ending. Both kids immediately wanted to read the book again. We've read it several times since and always notice something new - a frog, ants and other wildlife. The wordless format allows the reader to use their own words to tell the story, encouraging the art of storytelling. Yes, from cover to cover, endpapers included, the book is simply stunning. Upon browsing the list of Caldecott winners/honor books I made an interesting discovery. It seems that cats and mice are popular subjects. Librarians must like the animals. Don't believe me? After performing a quick count, I discovered the following books involving mice and cats (if there are others I have missed, let me know). Goes to show that cats really do rule and mice, not to be outdone, steal the big cheese. I wonder if we'll have another to add to the list after next week? 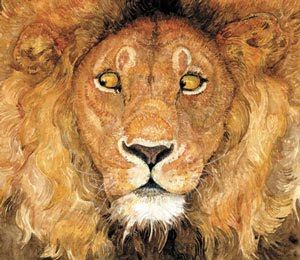 The last page of The Lion and the Mouse by Jerry Pinkney shares this information about the illustrations: "The full-color artwork for this book has been prepared using pencil, watercolor, and colored pencils on paper." This week for our story + art craft we experimented with watercolor, specifically watercolor pencils. My preschool-aged daughter drew her own illustration of the fable using the pencils and blended the colors together with a paintbrush and water. Other Blog Reviews: Bookie Woogie, thebooknosher, 100 Scope Notes, Kids Lit, Fuse #8. So sweet that your son was worried about the lion! Loved hearing your sons' reaction... And that lion drawing by your daughter is Awesome! What an excellent illustration of a lion! This book is up for a Cybil award too. Loved your review and loved hearing your children's reaction! This Lion and the Mouse is getting a lot of attention and I'm growing more and more curious about it! Loved hearing your family's take on it! This book sounds wonderful. I hope our library has it. My Dad just bought this book for my little one and we love it. Just recently a facebook friend of mine introduced me to David Wiesner's wordless picture book 'Tuesday' and now I learn about this picture book by Jerry Pinkney, which is also practically wordless. The watercolour illustration of the lion is so lifelike, I could hardly believe at first that it wasn't a photo! It looks a wonderful book and I'm sure it would be a deserved winner of the Caldecott Medal. Oh, this sounds like a winner for sure. I'm sort of out of the look anymore about awards--I only knowpabout them AFTER the fact. I love Pinckney, though--both of them (father and son? brothers? I'm not sure). This sounds like a good one to add to our collection and REMEMBER when we get around to formally studying fables. 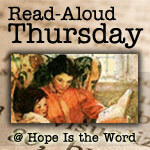 As always, I'm so glad you played at Read Aloud Thursday! I was interested in this book after reading a review by Boogie Woogie who linked to WMCIR and now I am even more intrigued. 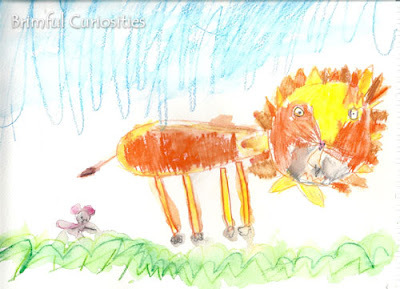 I am very much impressed with your daughter's drawing - it's so beautiful and detailed. And dang - I didn't know that there are two great two versions of Puss in Boots. We are going to see it in the theater this weekend, and all I have to show to Anna is an early reader. Interesting past trends--who knew cats and mice were the fast track to success? :) I love your daughter's illustration--she shows a lot of talent! Yes, I second a. fortis and say good catch on the # of cats and mice books. That turned out so well! You guys should make a photobook of all of your art projects, like on Blurb or something. Your daughter's drawing is fabulous! I can't believe it but this book isn't anywhere in our library system (I live in the second largest city in the UK!) - I shall have to recommend it and hope they'll get it.